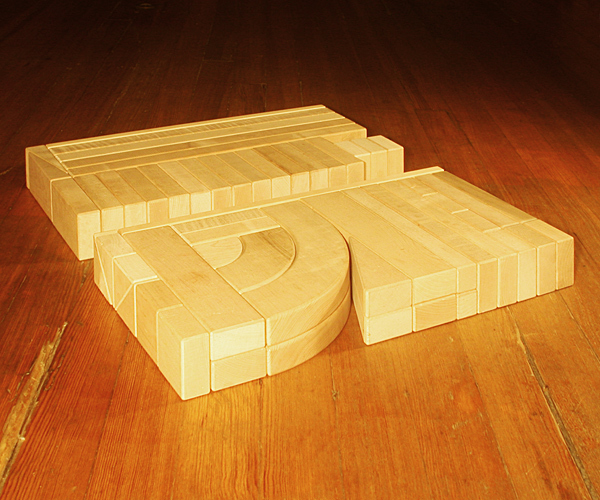 Our Introductory Upgrade Unit Block Set includes 57 pieces in 14 shapes. This is not a stand-alone set. Add this set to your existing 92 or 96 piece Introductory Set to create a complete Preschool Unit Block Set to support simultaneous construction and dramatic play for 3 toddler, preschool, or school age children. 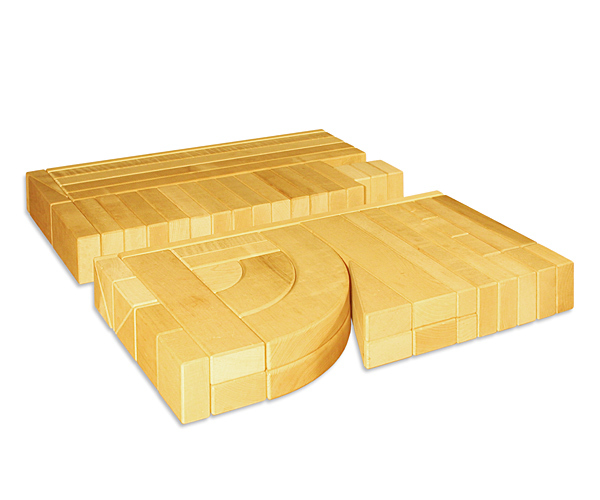 Designed to add sufficient block construction materials to eliminate play disruption, resource competition, and conflicts that arise from cheaper sets. Compare with Community Playthings G431 Supplementary Set (57 pieces, 14 shapes). 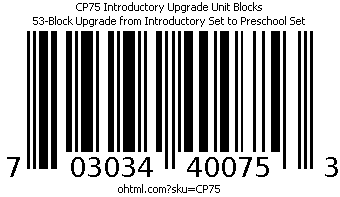 Add our CP76 Quarter Classroom Upgrade Set to turn a Preschool Set into a Quarter Classroom Set and boost capacity by 1-2 children. Add our RX10 Quarter Classroom Remedy Set to fill in missing pieces and boost capacity by an additional child. This item (CP75) weighs approximately 40 lbs. / 18.2 kg for 2 boxes. Each box contains about 20 lbs / 9.1 kg of unit blocks.